If you read my post on November 07, 2014 you know that I crave a good night’s sleep (I have been practicing what I preach and am up to almost 4 hours in a row now…woo hoo). Sorry I digressed. When I was reading my fav blogs this week and came across this at The Chic Site well I knew I would have to try it and do a post. Side note – I love doing laundry – do you?? According to the article you add a few drops of the lavender essential oil into the washing machine, for top loaders (this applies for me) you can add it directly to the water once it is filled up. For front loaders, you can add the drops into the basin that the detergent goes in. 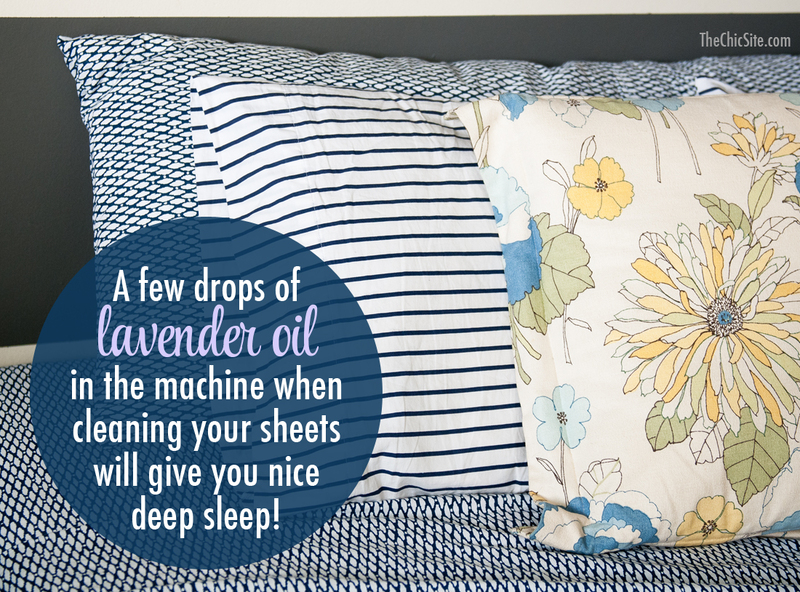 It says your sheets will come out with a nice light lavender smell, which is known to cause more sound and deep sleep. So now you know why I was all over this……my bedding isn’t quite as lovely as hers but it still smelled incredible and while I am not sure if it contributed to my 4 hours in a row or not – I just wanted to stay in bed because it smelled so fresh – reminded me of summer……and that my friends is A Wandaful Thing!!! 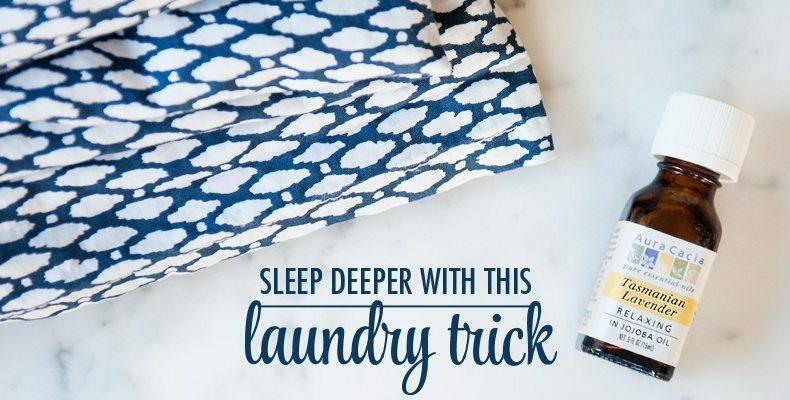 This entry was posted in DIY and tagged bedding, Decorate, deep sleep, DIY, fresh, front load, laundry, lavender, My Favorite Blogs, sheets, smell, top load, Uncategorized, washer. Bookmark the permalink. 3 Responses to DIY: Sleep Deeper……. I know exactly what you mean, the earlier I know I have to get up, those are always my most restless nights..
I’ll give it a go! Some shifts I have to get up at 530 so those nights before can be hard to relax and fall asleep. the more I try the harder it seems to be!